"Blend foundation, eye shadow, and blush with ease. With Natural Daylight Illumination, you can create any look like an expert, from the "no-makeup" to a smoky, dramatic nighttime look. 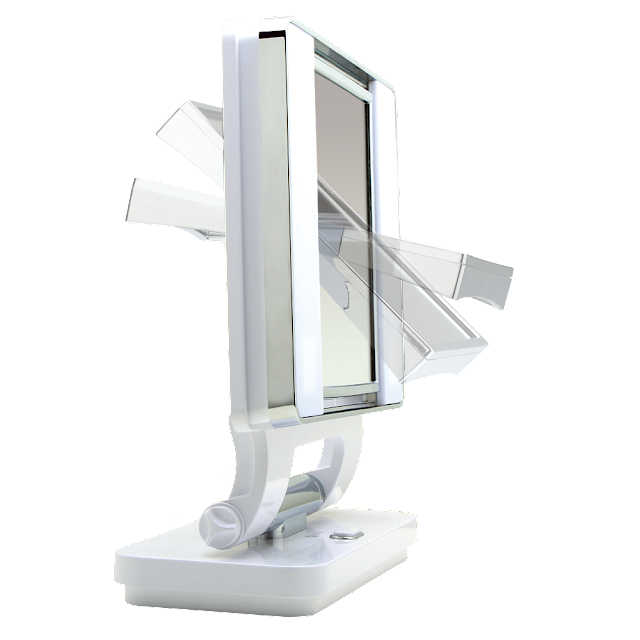 Up to 5x magnification dual-sided mirror. Makeup artist recommended." - Includes 2 energy efficient 13 watt bulbs rated to last up to 10,000 hours each. So, what were my thoughts? 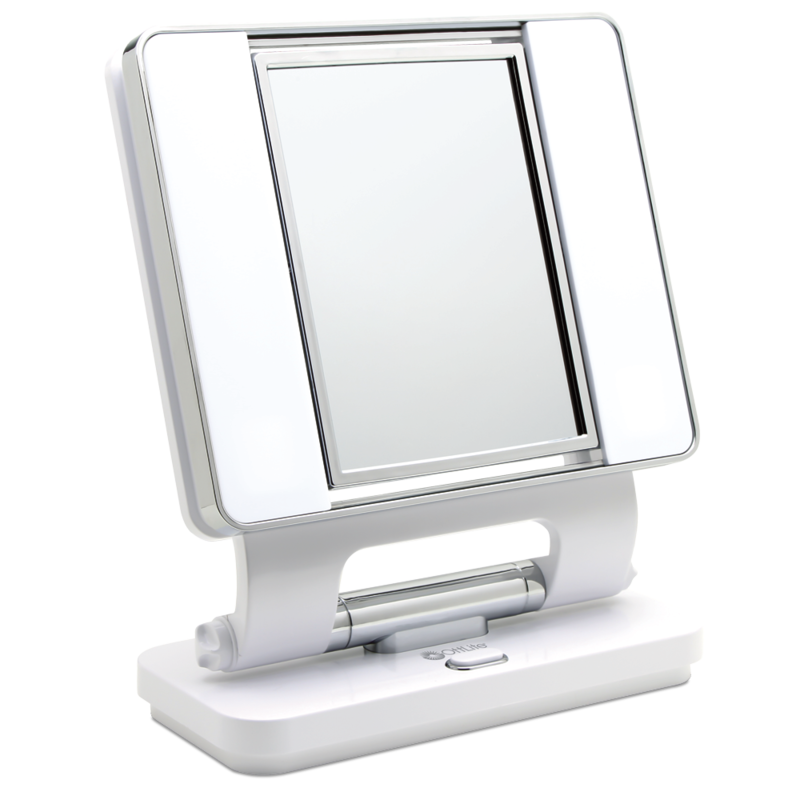 I personally believe this is the best makeup mirror on the market currently, and here's why..
1. The fact it's energy efficient. I don't know about you, but some days I spend a lot of time doing my hair and makeup so having an energy efficient light source makes me feel a little less guilty. 2. It's bright, super bright. I have tried out many makeup mirrors.. I mean, I am a beauty blogger after all! ;) So far my main issues have been how yellow the lights in those mirrors can be, and the ones that have different light modes even at the brightest setting it's really not that bright--certainly not bright enough for you to get precise eyeliner application or pluck your brows..
3. And speaking of plucking brows.. Magnification, and crystal clear mirrors. We have all had those cheapy Barbie Dream House type mirrors.. (no offense, Barbie) the ones that make you resemble a circus mirror reflection with how distorted they look? This issue mainly comes about with more magnified mirrors, but I can honestly tell you this mirror is crystal clear even on the magnified side which is great for glasses wearers or just shaping your brows or applying eyelashes. 4. Vertical adjustments. So my number one pet peeve with those classic, rectangle lighted mirrors was the fact that the mirror would twirl around like a carousel almost--some times they would move on their own accord, but the main issue was not that, but the fact that if you have your mirror set on a short desk or below eye level you can't see because your only adjustment option is side to side. 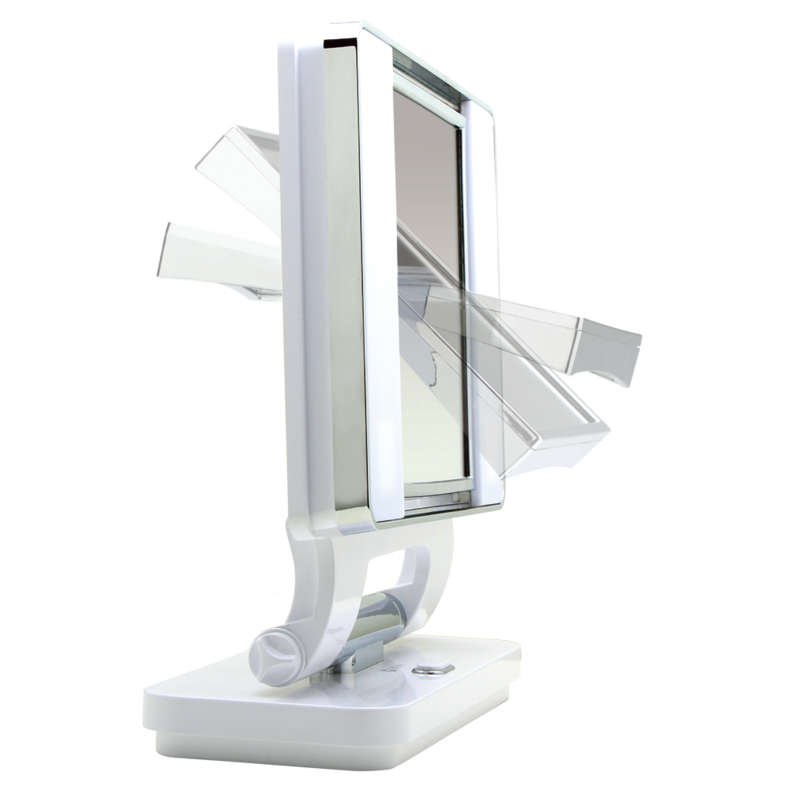 This mirror totally solves this issue because of all of the adjustment options so no matter where you place it, this mirror can easily be adjusted so you can see! 5. Replacement bulbs. Ahhh no longer do you have to purchase a new mirror just because the bulb went out. Plus, you get a good couple years of use out of a set of bulbs.. I mean 10,000 hours sure does last you a while! 6. Great quality, great price. In my opinion $79.99 is a steal for this mirror! 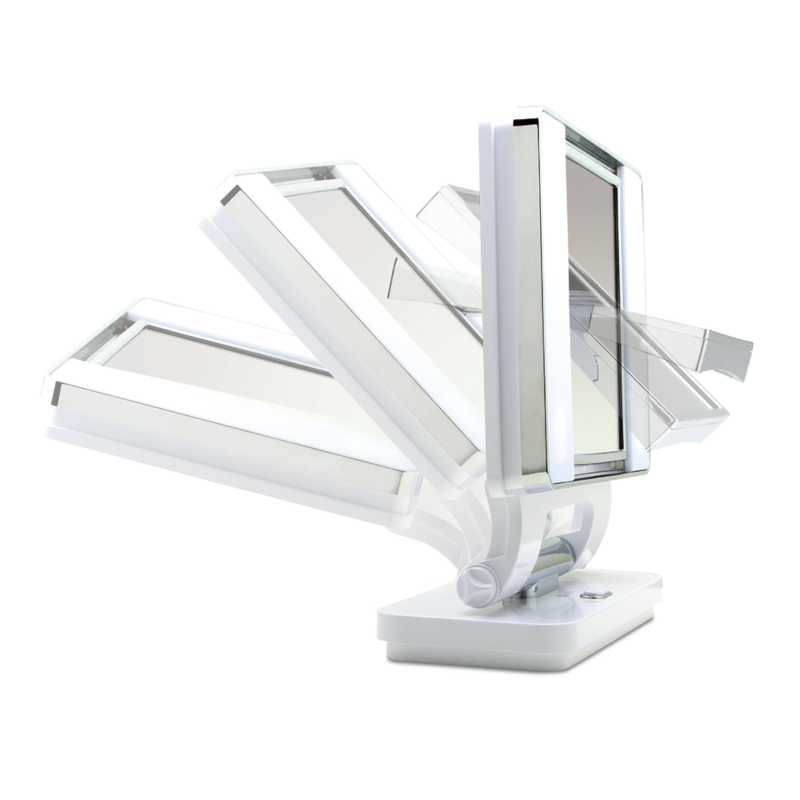 Yes, you can find those cheapy drugstore mirrors for $30-40 bucks, but I have used those before and I can tell you the lights dull over time, the mirrors aren't as clear, and most times it's impossible to track down replacement bulbs--if they even offer them at all! Overall, I very highly recommend the Ottlite Makeup Mirrors! PS it's also available in the color Black.